Recent rule changes appear in italicized font. All matches will be played at the Hawkeye Tennis and Recreation Complex (HTRC). Alcohol and tobacco are not permitted inside the complex or in the parking lot. All court reservations must be made through the HTRC staff at (319) 384-1215. 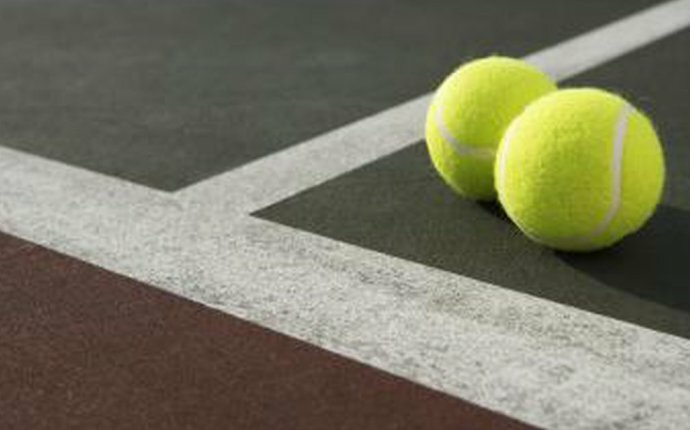 Tennis uses a “play-by” tournament format, meaning players will be paired with an opponent for first round matches. Players will have one week to play their matches before advancing to the next round of the tournament. The date and time of the match listed on IMLeagues.com is the deadline by which the match must be played, not the time when the match is scheduled to be played. The bracket will be updated the day following the deadline for each round, or sooner if possible. It is the responsibility of each player/team advancing in the tournament to set up the date and time for the next round to be played. Contact information for your next opponent will be provided to facilitate communication for future matches. The results of each match are to be emailed by both participants, to intramural-sports@uiowa.edu upon completion. Make sure that the winner’s name, loser’s name, and the scores are all listed in the email. The results must be submitted no later than 11:59 PM on the day of the deadline. All match results will be posted on IMLeagues.com. **Note: If the match cannot be played within one week, both players must contact the Intramural Sports Office and notify the Intramural Staff when the match will be played. Note that the extension of a deadline is only permitted with approval from an Intramural Sports Administrator and does NOT extend the following round’s deadline. If a match is not played by the deadline, or the results of the match are not submitted on time, the result will be a double forfeit and elimination from the tournament. Participants that forfeit will be assessed a $25.00 Forfeit Fine. Make sure you schedule and play your matches well before the deadline to avoid last-minute conflicts. All matches are self-officiated. If a disagreement should occur in regards to a line call, point, game, or match, it should be handled immediately by the players involved. All players should mutually agree to replay the point. No protest, other than for eligibility, will be accepted by the Intramural Staff. This tournament will observe the official rules reproduced by the Physical Education Activities Series in their book Game/Set/Match, by James E. Bryant. A match shall consist of best 2-out-of-3 sets of “No-Ad” scoring (love, 15, 30, 40, deuce, winner). The first player to win six games (Example: 6-4), wins the set. If a set is tied at five games apiece, a player/team must win two games to make the score 7-5 to win the set. If the set becomes tied at six games apiece, a tiebreaker will be played with the first player/team scoring seven points winning the set. If the tiebreaker is even at six points apiece, the first player/team to gain a two point advantage will win the set. The first player/team to win two sets wins the match. Substitutes are not allowed after a player has played his/her first match. The tournament is single elimination. Participants who forfeit their first-round matches will not receive a can of balls.